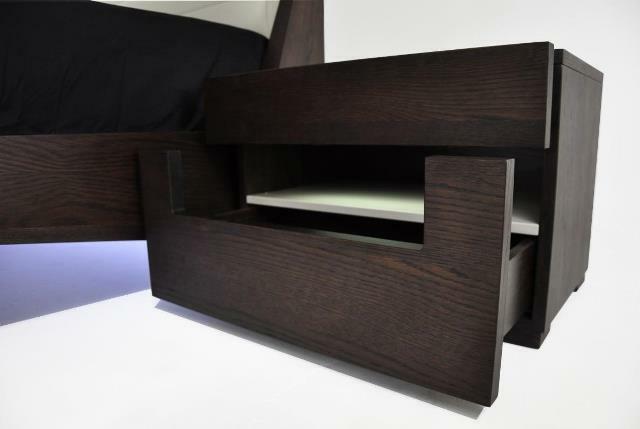 The Catalina Modern Bed is a gorgeous addition to your home. 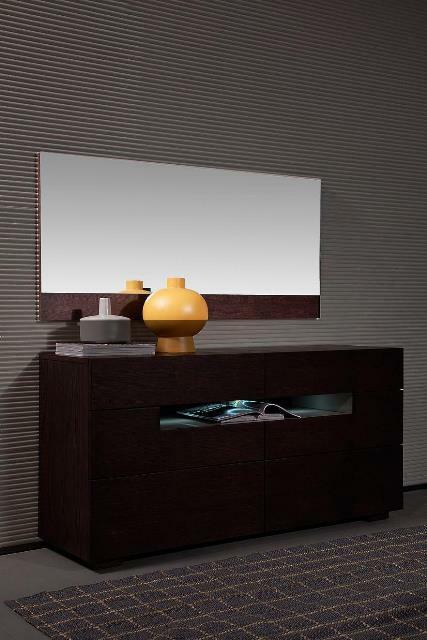 It features a unique platform design with lights on the headboard, brown oak veneer, and soft tan leatherette frame. Mattress sold separately, but great one’s available.